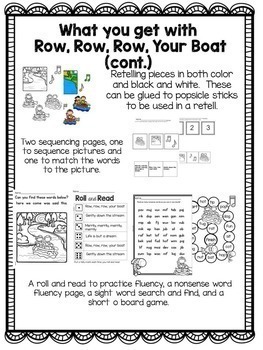 This is a great way to review reading fluency, phonics, comprehension, and phonemic awareness skills for the end of the school year! 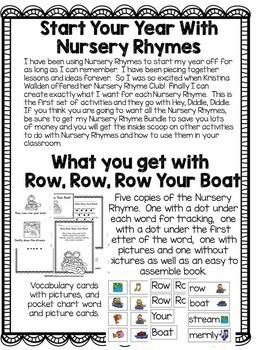 Build phonics, phonemic awareness, concepts of print and early literacy skills with Nursery Rhymes. 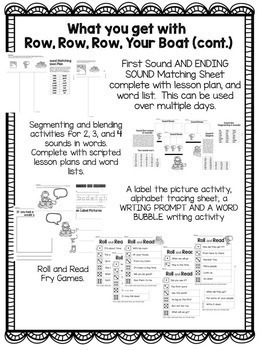 Activities include first sound, middle sound, ending sound, segmenting, blending, rhyming, sequencing, retelling, and much much more. 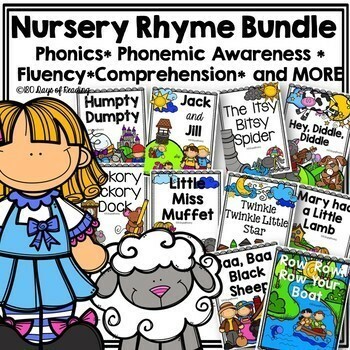 This bundle is HUGE it includes 10 Nursery Rhymes! Click HERE to be the first learn about new products and SALES! There is little to no prep and most activities are print and play. Please ask any questions before purchasing. Feel free to email me at 180daysofreading@gmail.com. Newly updated so you can download just one nursery rhyme at a time. Also labels were added to all pictures for more print experiences! I hope you love it. This is one of my favorite resources.